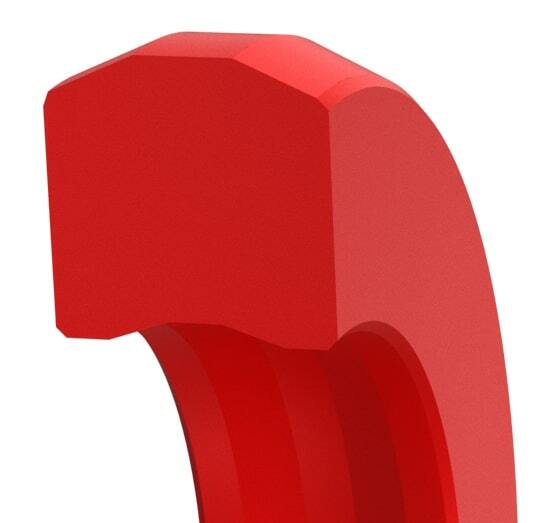 Small footprint external seal designed for rotary couplings/distributors. The one-piece elastomer design makes it easier to fit in multi-port units than traditional PTFE-based seals. This seal is made of a high-performance wear-resistant elastomer designed to separate two different media. This seal handles up to 5,000*psi. Small quantities are available in 1 to 3 days. Size Table (Inch)Standard Sizes listed below are preferred sizes for new design applications; however, we offer any other seal size as required. Seals are available for any bore diameter size in 0.001 inch increments, including Functional Range without tooling charges. **Standard cross-sections (CS) listed and non-standard sizes can be provided for all shaft size up to 63 inches. ** For heavy-duty applications that include frequent pressure spikes, vibrations and thermocycling, it is recommended to move up one size in the CS.Surface finish: Shaft (A) plunge ground, zero lead, Ra 8-16µin using elastomer seals, Ra 6-12µin using PTFE seals. Housing (D,L) Ra 32-63µin, shaft material hardness 55-65RC. See Technical Info for more specific information. Size Table (Metric)Standard sizes listed below are preferred sizes for new design applications; however, we offer any other seal size as required. 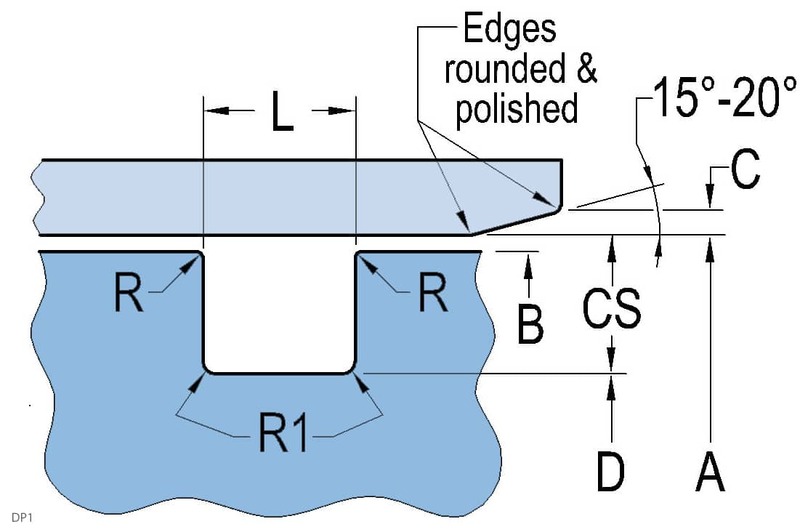 Seals are available for any bore diameter size in 0.01 mm increments without tooling charges, including Functional Range. **Standard cross-sections (CS) listed and non-standard sizes can be provided for all shaft size up to 1600mm. ** For heavy-duty applications that include frequent pressure spikes, vibrations and thermocycling, it is recommended to move up one size in the CS.Surface finish: Shaft (A) plunge ground, zero lead, Ra 0.2-0.4µm using elastomer seals, Ra 0.15 -0.30µm using PTFE seals.Housing (D,L) Ra 0.8-1.6µm, shaft material hardness 55-65RC. See Technical Info for more specific information.